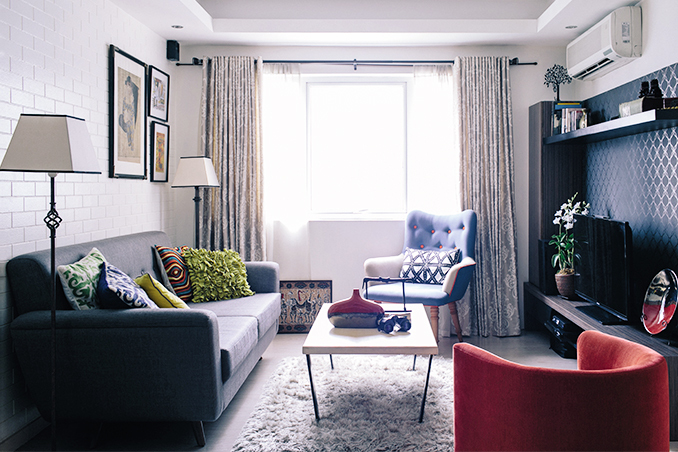 Since all of her children work abroad and she often has to stay at home all by herself, former sales manager Joji Ledesma-Pineda decided to move into a condo unit. After all, for those living on their own, staying in a condo can feel like a much safer choice than a traditional house. However, it was not enough for Joji to feel secure and protected, she also had to have a cozy, comfortable, and attractive home. In order to create the perfect two-bedroom home for Joji, interior designer Diana Zamora stepped in. Diana helped Joji choose vibrant shades, interesting prints, and mid-century modern pieces. The combination of these elements have led to a well-furnished space with a unique retro appeal. Read the original article ("High-Rise Love") in the December 2014 - January 2015 issue of Real Living Magazine. Download your digital copy of Real Living on the Real Living App now! Log on to summitnewsstand.com.ph/real-living for more details.